There are few things as important to our personal well-being as the water we drink. Our very existence is ultimately connected with the quality of water available to us. So when you drink Oxnard water, be assured you are drinking clean, quality water which meets or exceeds all federal and state standards for safe drinking water. 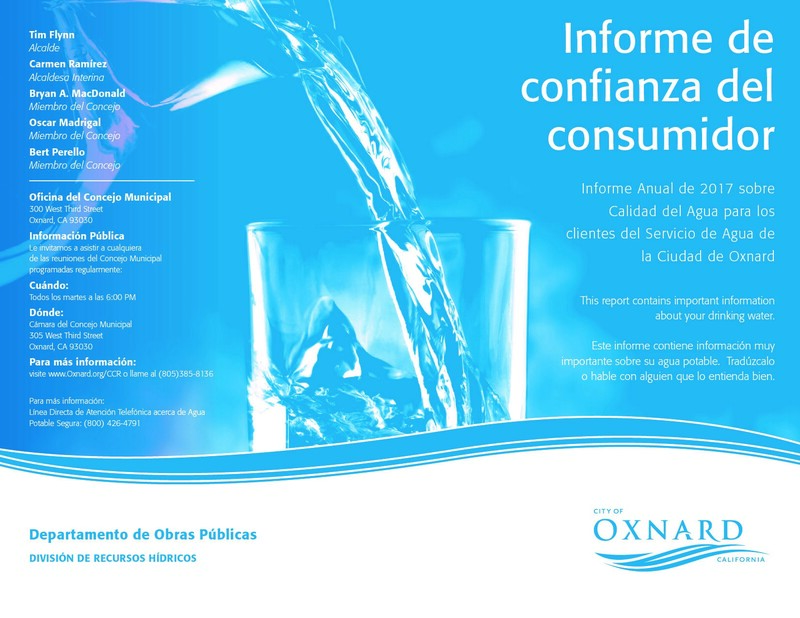 In accordance with the United States Environmental Protection Agency and the State Department of Health Services, the City of Oxnard Water Resources Division is pleased to provide you with the 2017 Consumer Confidence Report. It details important information about your drinking water, including contaminants, sources of drinking water and special health requirements.